Project exploring how different kinds of spaces faciliate different kinds of interactions. The site for the project was on Kanakapura Road, the premises of the existing Valley School, Bangalore. The site was rich with flora and fauna. Also in the vicinity were several small villages, the residents of which interacted with the site regularly. The brief was to design an Institute for Ayurveda and Integrative Medicine with the broader mission to demonstrate the contemporary relevance of Indian Medical Heritage in providing medical relief and in extending education, training and imparting creative community services. The design evolved keeping in mind the kinds of interactions that would happen among the various users of the campus. The horizontal circulation is modulated in the plan, to match various paces of movement including larger volumes as pause points with obelisks strategically placed to act as points of focus and to encourage movement around them. 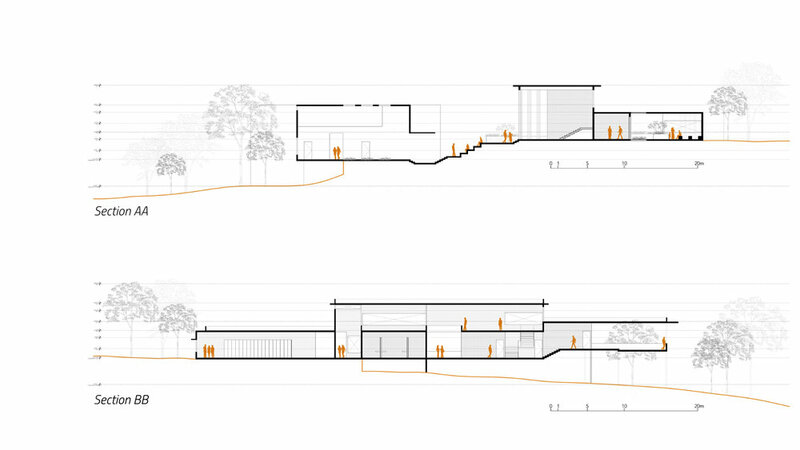 The circulation zones are also modulated in section, to create varying volumes and to admit natural light from clerestory windows. 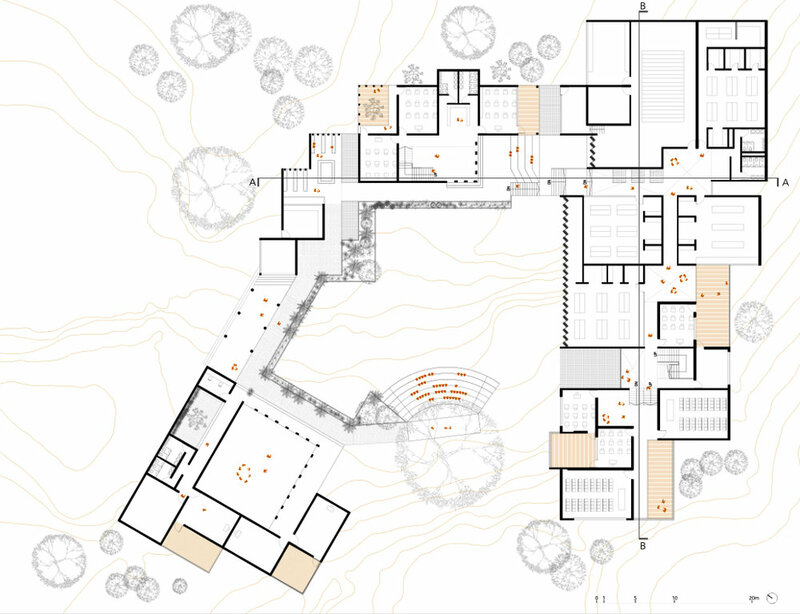 There are break off areas adjoining the labs and classrooms in the form of decks and open to sky courtyards to utilize the vistas provided by the site while encouraging outdoor learning and informal interactions among the users.